Bags of Love specialise in handmade personalised photo gifts, turning your holiday snaps or photos of loved ones into treasured items. They offer a wide range of products including photo bags, laptop cases, storage boxes, cushions and bunting. You can even design your own scarf using your images! I jumped at the chance to review a product from their range and chose a make up bag to help store my overflowing collection! 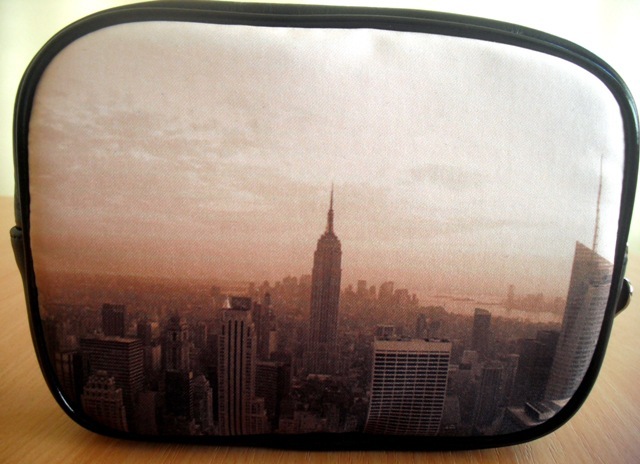 I personalised my make up bag with a photograph of the New York skyline taken from the top of Rockefeller Center on my trip to the US a couple of years ago. It makes me wish I was back there each time I look at the bag! Their website is user friendly and allows you to select from colour, black and white or sepia for your image. I chose to have the photo in sepia and I was really impressed with the quality of the image on the finished bag. With Christmas on its way Bags of Love is an ideal place to browse for a photo gift for those who can be tricky to buy for. I also spotted these cute personalised Christmas stockings, perfect for little.. or not so little.. ones! What photo would you put on a bag? Ooh gorgeous bag, love the snap of nyc! 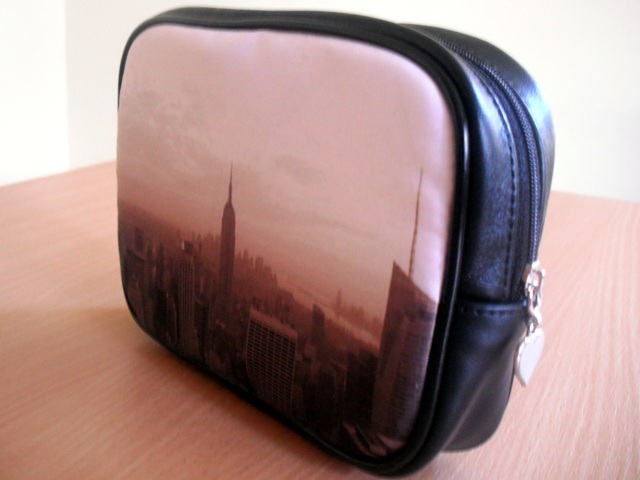 What an awesome makeup bag - love that photo! I absolutely adore this idea! I have sooo many travelling photos I could use, love it. I so love that this is your photo (it's a good one!!) I would totally put a photo of HK on one if I had one of those, so fun! Aw that's so so pretty, that would be just gorgeous for a christmas present!